One of the easiest way to find vendors for your wedding is visiting wedding fairs, exhibitions. Vienna and Austria every year hosts numerous wedding fairs and bridal trade shows. While it might be easy to find your wedding photographer or filmmaker on the Internet by looking at their portfolios, choosing a wedding dress or table decoration is a different cup of tea. 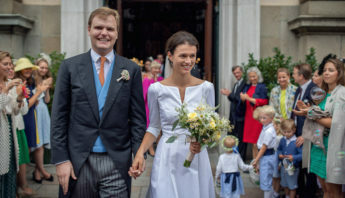 To make your life easier, we collected the list of wedding fairs and expos in Vienna and Austria. Trau Dich is one of the biggest wedding fairs in Vienna and Austria in January, that brings more than 250 wedding professionals under the roof. It is a 3-day exhibition, where you can see the newest wedding fashion trends. You can listen to live bands, take part in dance workshops and have a look at beautiful wedding decorations. You can even choose your travel destination for your honeymoon. Trau Dich is a great place to get inspiration and tips for your wedding by watching the newest trends in the industry. Wedding Event – Open Day in Renaissance Wien Hotel – As part of the Marriott hotel chain, Renaissance Wien Hotel opens its doors for wedding couples at the end of January to let them take a look at the offer of this gorgeous wedding venue. Brautsache is a bridal trade show organized at the end of February in Vienna, usually in a luxurious hotel. 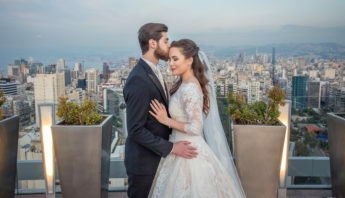 Only brides can enter this evening event, where they can get informed of the newest wedding fashion trends and beauty care news, including hairstyling and make-up. 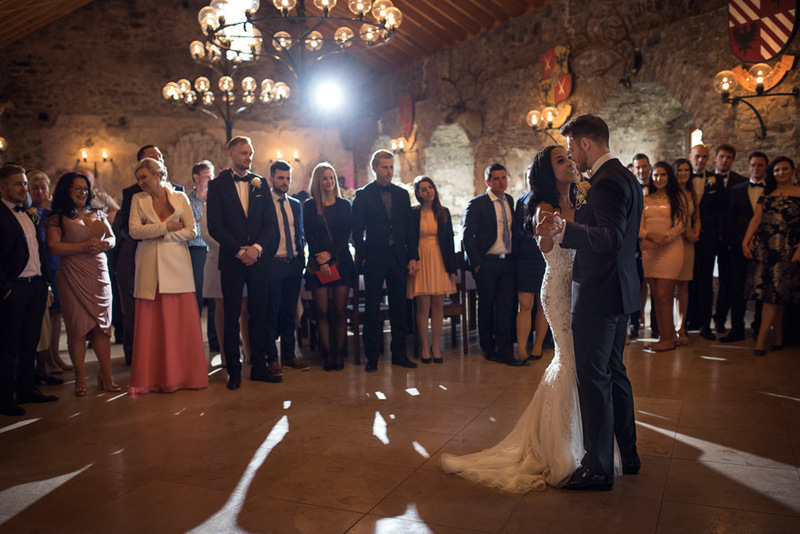 Balkan Wedding Days is organized at the end of March in Vienna. It is a wedding fair organized mostly for couples from Eastern Europe and most of the wedding vendors are from the Balkan, too. Wedding Sparkle – das Hochzeitsfestival in May is a Vienna wedding festival and expo, where you can meet a lot of wedding vendors, take part in workshops, get familiarized with the hottest trends and try the newest products. At the Wedding Sparkle Flea Market (Flohmarkt) you can buy decoration items and second-hand wedding dresses, too. Wedding Sparkle also has a Glamour Edition in September with international designers and guests in the state apartments of Albertina Museum in Vienna. Wiener Hochzeitstage is a wedding expo organized at the end of September in Schönbrunn Palace, Vienna. There are several wedding vendors offering their services here, on more than 1,500 square meters. Hochzeitswelt Wien (Wiener Hochzeitsmesse) is a huge Vienna wedding fair in October, where 100 wedding vendors are waiting for their future customers. Auf immer & ewig – 40 exhibitors display their wedding services and products in the castle of Schloss Zeillern in the Linz area, at the end of January. 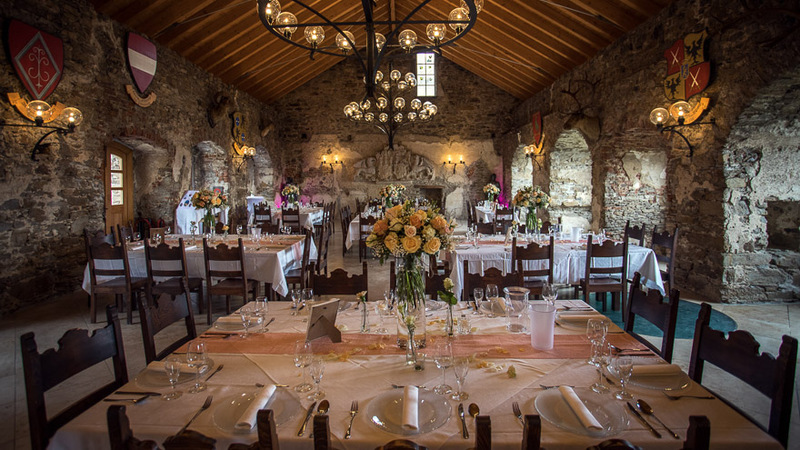 Hochzeitsmesse Perchtoldsdorf is a September wedding fair in the romantic atmosphere of Burg Perchtoldsdorf’s castle in Lower Austria, in the vicinity of Vienna. Badener Hochzeitstage is an October wedding fair in Baden bei Wien, where more than 100 wedding-related companies exhibit their products and services from the Vienna region. Hochzeits- und Anlassmesse in Wiener Neustadt is a wedding and event fair in Lower Austria, which is held in October. Over 60 wedding vendors exhibit their offer here. Hochzeitswelt Niederösterreich in November is the local version of the Vienna wedding expo called Hochzeitswelt Wien. Freistädter Hochzeitsausstellung is a January wedding expo in Freistadt, close to Linz. You can find a huge variety of wedding vendors here or enjoy the fashion show. Hochzeitswelt Linz in January is the local version of the Vienna wedding expo called Hochzeitswelt Wien. Innviertler Hochzeitstage is a wedding fair held in Ried im Innkreis, at the end of September, where you can find not only the newest trends in wedding fashion, but a ton of wedding vendors from Upper Austria, too. Hochzeitswelt Oberösterreich (Wels) in October is the local version of the Vienna wedding expo called Hochzeitswelt Wien. Wedding Days in Hotel Schloss Mühldorf is a November wedding fair in Mühldorf Castle by the Danube, close to Linz. Hochzeitsmesse Schloss Goldegg is a January wedding fair in Salzburg state’s Goldegg Castle, where a huge variety of wedding exhibitors showcase their new products and services. Fashion shows and a second-hand wedding dress sale make this fair more colorful. Hochzeitsträume – Die Hochzeitsmesse in Mattsee – this wedding fair is held in Salzburg, in January. Bride & Groom is a wedding festival in Salzburg in October, where you can find your favorite wedding vendors and have a look at the newest trends in the wedding industry. Hochzeitswelt Salzburg in October is the local version of the Vienna wedding expo called Hochzeitswelt Wien. Hochzeitswelt Graz in January is the local version of the Vienna wedding expo called Hochzeitswelt Wien. Be my valentine is a wedding fair in Graz in February, with numerous wedding vendors from Styria. Verliebt Verlobt Verheiratet Hochzeits- & Familienmesse in Graz is the biggest wedding fair in Styria (Steiermark), held in November. 100 wedding vendors exhibit here their newest products and services. 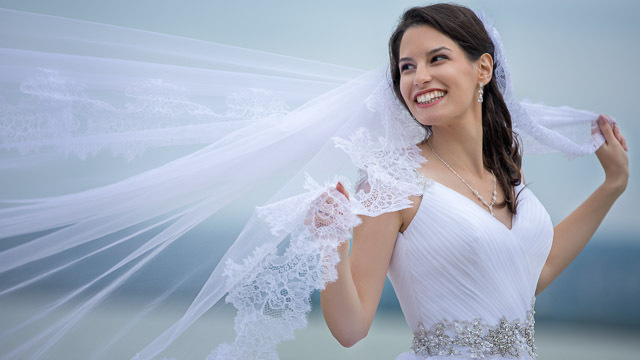 Ennstaler Hochzeitstage is an October wedding fair in Schladming, Styria with fashion shows, programs for children, wedding catering presentation, live music and a beauty lounge where brides can get free makeup trials. Kärntner Hochzeitsmesse in Klagenfurt is a wedding fair with over 50 exhibitors from the region of Carinthia, at the end of January. You can find not only Austrian, but Slovenian and Italian wedding vendors here, too. Kärntner Hochzeitstage is a wedding fair in Villach in October, with wedding vendors from the region of Carinthia. 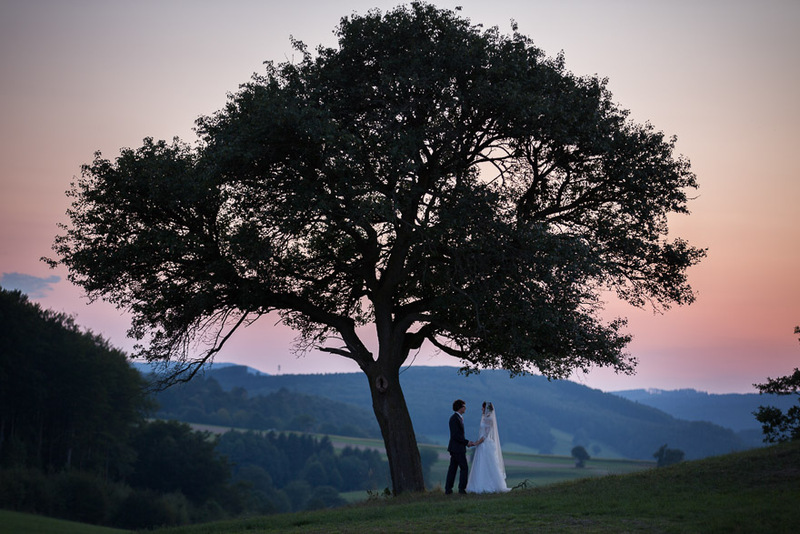 Hochzeitsmesse Wolfsberg is an October wedding fair at the romantic location of Wolfsberg Castle in October. Over 60 wedding exhibitors offer their services here from the Graz and Klagenfurt region. Hochzeiten & Feste in Innsbruck is the biggest wedding fair in Western Austria, which is held in January. More than a hundred wedding vendors from Styria showcase here their newest offer. 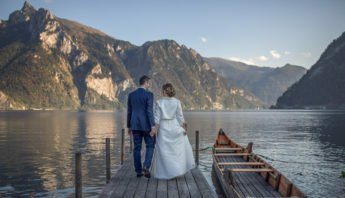 Luft und Liebe – Hochzeitsfestival Vorarlberg is a September wedding festival organized at an outdoor location in Dornbirn, offering secret tips, street food, live gigs and numerous workshops. Hochzeit & Event is a wedding fair in Dornbirn in November. The exhibitors are from the region of Vorarlberg and Lake Constance (Bodensee).